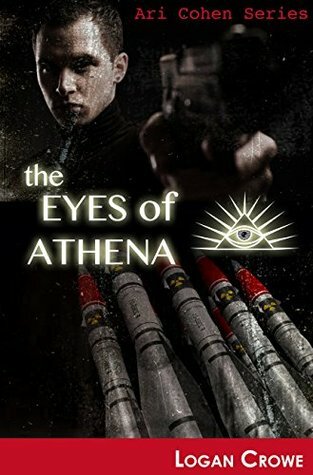 ABR's full The Eyes of Athena audiobook review and many others can be found at Audiobook Reviewer.The Eyes of Athena: Ari Cohen, Book 1 was excellently written as it was very detailed and realistic. Spencer Hawke, the author and narrator, did an excellent job of research.Athena is a secret organization since the founding fathers, more active than any other secret branch as well as more protective and patriotic. Moving Athena into the 21st century called for a more diverse board and a woman strong enough to lead not only Athena but America through a secret yet deadly time with Russia and Iran. While the book was about Ari Cohen a Mossad agent recruited to help with Athena, it became more encompassing drawing battle lines and loyalties.I was surprised to begin listening to this and then half-way through discovering several years had passed in the story. I was so engrossed in the details and the story itself the passing of time surprised me. It further drives home how these things – espionage and such take years to develop.I loved how Hawke moved around painting the story showing the evilness vs goodness and loyalty vs traitor. Bringing in the Russian Mafia was an excellent addition to the story – it shows how coincidence can be very misleading and delays important strategies.Without revealing the ending – I LOVED IT!The characters are well portrayed. I caught my breath several times fearing the worst for my favorite characters. This is the best espionage book I’ve read. It has the right mix of espionage, secrets, agents, storylines and romance.I highly recommend this to anyone who has a passion for thrillers but also for those of you who don’t. Not being a regular reader of this type of writing, I was very surprised at how well Hawke drew me into the story.The narrator, Spencer Hawke, did an excellent job with enunciation and keeping the energy going. He did an excellent job of keeping the passion going and driving the fear.The production of the audio book was well executed also. I encountered no rough spots or problems. It was clear and flowed nicely.Audiobook provided for review by the author. Logan Crowe Spencer Hawke - Born in England and educated in the United Kingdom, Logan Crowe started traveling as a young boy seeking adventure. At 21, he took off with a friend for Africa and crossed the continent North to South through the Sahara, sometimes on foot, as their old Land Rover did not want to travel as far as they did. This was, in fact, where he got the inspiration for his first published novel [Death by Destiny -- Saving the Dead Sea Scrolls], while holed up in an abandoned French Foreign Legion outpost, called Fort Mirabelle, in the middle of the desert in Algeria, where they stayed until the engine was repaired. Cold desert nights watching Bedouin camp fires in the distance and not knowing who was friend or foe is a great catalyst for an over-active imagination. Eight months later, having dodged many conflicts and machine-gun-toting patrols, the pair rolled into South Africa bound for Australia, determined to swim the coral of the Great Barrier Reef. But fate had a different plan for Logan. In Johannesburg he met a Brazilian girl who professed undying love for the young Brit. He changed his ticket and flew off to Rio de Janeiro in search of his love. Once in Rio, she was nowhere to be found. Short on funds, he stayed and got a job with General Motors in Sao Paulo. Eight years and two children later, he had accumulated enough money to take off again for what he thought his final destination. Landing in Oklahoma in the middle of the 1980's oil boom, he and his children made a home in Oklahoma City. Fate gain intervened on a trip to Texas when he met the one true love of his life, wife Jenny. The poor misguided soul decided to take him on and has been his inspiration for the last 20 years; together they are raising another gift from God, Grandson Devon, who is already a "chip off the old block" -- an avid adventurer.